Mouldy bread can be toxic to birds and should be consigned to your green waste bin and not fed to your garden visitors. Even if your old bread is just on the edge of going mouldy don’t be tempted to feed it to the birds as it may well turn whilst waiting to be eaten. 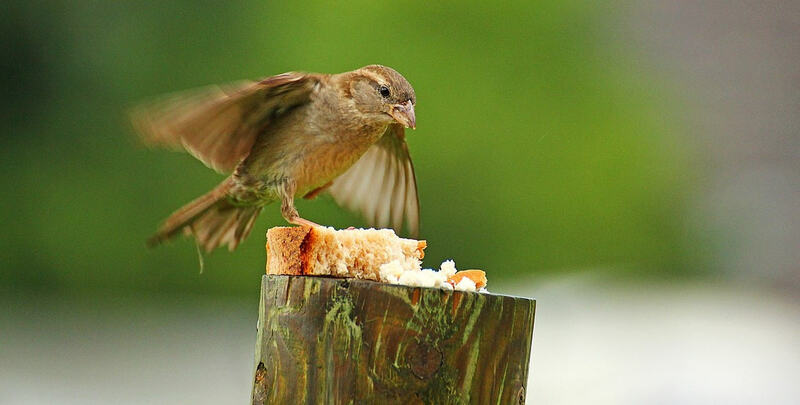 Also worth mentioning is that bread is not a good staple food for birds consisting predominantly of carbohydrates. On top of this standard supermarket sliced white bread is very processed and contains many unpleasant chemicals. 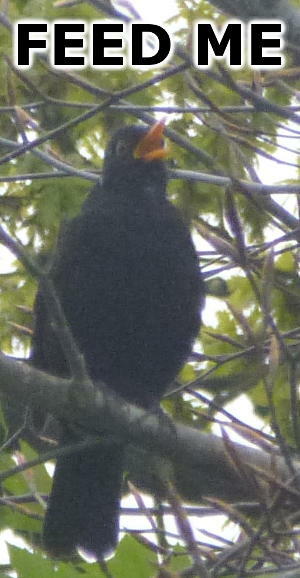 As a result it could be unhealthy for birds if eaten consistently over a long period of time, just as it is for humans. This female house sparrow doesn’t appear to be on a low-carb diet. Having said that, come winter, when times are hard, a slice of cheap processed sliced white could be the difference between life and death for a hungry garden bird. One additional thing to consider is that during the rearing season it may be possible for parent birds to over feed bread to their chicks. The main concern is that stale bread tends to crumble in chunks that could swell once eaten causing small chicks harm. This may be over cautious but if you want to play it safe you can soak your bread in water before putting it out. This makes it break up easier and also pre-swells it.